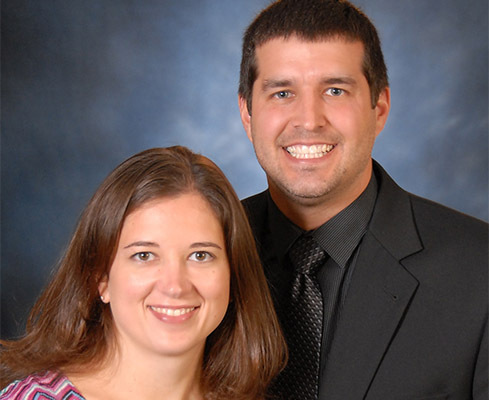 Jeremy and Jenilee Goodwin are both ordained ministers with the Assemblies of God. After attending Central Bible College in Springfield, MO, they served in Childrens Ministry for 12 years in the Ohio Ministry Network. In 2013, God opened the door to Senegal, West Africa where Jeremy and Jenilee currently serve kids and families as AGWM missionaries. Through relationship building, leadership training and mentoring, Jeremy and Jenilee assist our national churches and pastors to build healthy children’s ministries to better reach the next generation with the love of Jesus! They have 3 daughters: Elayna, Annalise and Abigail. As a family, they love playing in the outdoors, exploring nature, trying new things and making life adventurous and fun!